The paper argues that the theory of Implicit Definition cannot give an account of knowledge of logical principles. According to this theory, the meanings of certain expressions are determined such that they make certain principles containing them true; this is supposed to explain our knowledge of the principles as derived from our knowledge of what the expressions mean. The paper argues that this explanation succeeds only if Implicit Definition can account for our understanding of the logical constants, and that fully understanding a logical constant in turn requires the ability to apply it correctly in particular cases. It is shown, however, that Implicit Definition cannot account for this ability, even if it draws on introduction rules for the logical constants. In particular, Implicit Definition cannot account for our ability to apply negation in particular cases. Owing to constraints relating to the unique characterisation of logical constants, invoking the notion of rejection does not remedy the situation. Given its failure to explain knowledge of logic, the prospects of Implicit Definition to explain other kinds of a priori knowledge are even worse. 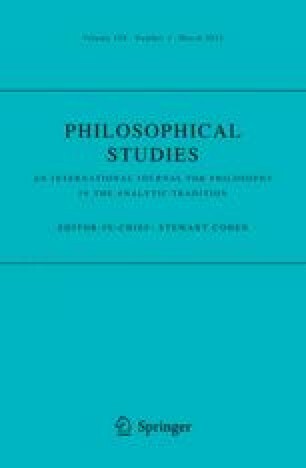 Thanks to Corine Besson, Franz Huber, Wolfgang Künne, Erik Stei, Timothy Williamson, and an anonymous referee of Philosophical Studies for very helpful comments and suggestions. Humberstone, L. (2010) Sentence connectives in formal logic. In E. N. Zalta (ed. ), The Stanford encyclopedia of philosophy. http://plato.stanford.edu/archives/sum2010/entries/connectives-logic/. Accessed 22 Oct 2010.